This wonderful song is the first single from Koo Koo Kanga Roo‘s brand spankin’ new album (officially out tomorrow, though it’s been available on their tour dates with The Aquabats!) Whoopty Whoop. As you can probably tell from the video, the Minneapolis duo is all about having fun… so much fun, in fact, that they have quickly become my children’s favorite band. To be honest, they aren’t JUST my kids’ favorite band, but my wife and I are also kinda obsessed. Their Rad-trospective introduced us to their catalog, then I received a review copy of Whoopty Whoop to turn it up a notch… and then on Friday night, they put on one of the greatest and most fun shows that this aging scenester has ever attended. No exaggeration… at all! So, back to the album. 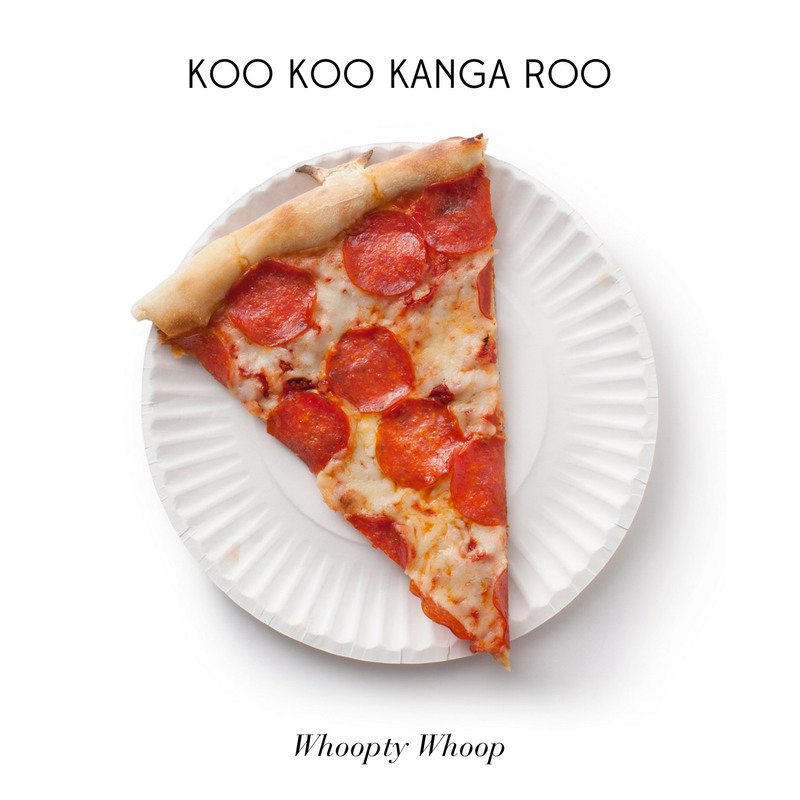 Whoopty Whoop features 10 tracks ranging from topics like unibrows, pizza, superheroes, and getting your body moving… all of the songs are perfect examplesexactly what Koo Koo Kanga Roo does best, which is make you laugh, dance, and even occasionally learn something. Indie darling rapper POS even makes a cameo on the track “Shake it Well”, which shows a little bit of indie cred to say the least. I think it’s safe to day that the Koo are just getting started. This album, their first on Asian Man Records’ kids tunes imprint Fun Fun Records, is sure to get you dancing and singing along, even if you don’t have kids. While Bryan and Neil play shows in front of pre-schoolers and play family concerts, they also open for punk bands and indie rappers at dive bars and storied venues around the country. It really doesn’t matter who you are or if you think family friendly dance pop is your style, Whoopty Whoop comes highly recommended for everyone (and their live show comes even MORE highly recommended. On last note, after you listen to the new album, head back to YouTube and dance along to set videos from their dance workout DVD, a recently added staple in my children’s daily routines.